We hope that you will find our site both educational and edifying. Many thousands of hours of study have been put into the material and processes that you will find presented here. We not only teach these principles but apply them to our own lives as well; and therefore, we will present nothing that we have not tried and proven for ourselves. We will endeavor to lead by example and can assist you in your implementation of the concepts developed and presented within this educational website. Given the state of affairs in the world today, with unrest and disenfranchisement across the entire face of the earth it is our fervent belief that the course work , scripture studies and insights into the affairs currently shaping our lives are both timely and necessary to not only survive but thrive in the coming times. As you will no doubt notice, the fundamental truths and precepts presented are scriptural based. We believe to truly excel in this world we must come to an understanding of how our heavenly Father can shape and mold someone's life. The common law which is the foundation of law has its basis in the Holy Scriptures, for more information reference the Fundamental Orders of 1639. Furthermore, all rights of use are conferred by God and nothing of this world that man believes to be his actually is. Since these truths are foundational to our educational material, we present not only course material that we believe will free you financially but physically and spiritually as well. We only ask a for small membership fee to help us cover the cost of running the website. The free access area covers topics like Scripture studies, health info and tips as well as off grid living, which are presented As Is and we believe to be truthful and accurate. The paid video study courses address such topics as, understanding the difference between Lawful Money and private credit, the application of Lawful Money to our daily affairs, and the implication of Lawful Money to tax savings resulting in tax returns. 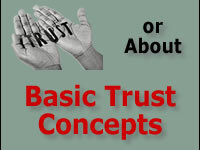 We also provide in-depth studies into simple and complex Trust Structures, how to apply them on a daily basis and how to lawfully implement them with the goal of maximizing our member's success in building assets for their posterity. Once you have purchased a course, you will have access to the material, support forums and subject matter library for life, including course and library updates, as long as maintain your site membership. We will be developing in-depth course forums, footnotes (additional videos that give more depth and support to the foundational course material) and extensive libraries to support you and help you better understand the courses. But it will be up to you the member student to study and apply those materials to your life. A Privilege to Serve You! 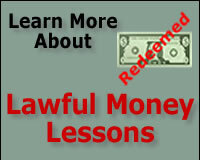 We are perfecting redemption and I am seeing my fingerprints in significant process in the US District Courts from people who have been redeeming lawful money for years. This is encouraging that Michael Joseph and I are teaching reproducible lessons here and elsewhere. Gold and Silver Members; Please get a look at our Coffee Chat about interest and usury. I think that anybody digesting this discussion between Michael Joseph and myself will be developing a tool set that will help comprehend redemption. Check out all our site features! Interview with MJ and David! Just joined happy to be a new member.. On First try, a return from FED tax year 2016 showed a partial year LM reduction! The state reduction was nearly all taxes returned. Thank you David for all your hard work. I’m glad i found your research. I will continue this blessing and bless you. Thank you David Merrill & Michael Joseph for taking us all to the next level! Michael P.
Love your coffee chats I would like to call you about 4 your time today if it is okay let me know I know you are busy. Russell P.
Greatly Reduce Home Mortgage Payments by Redeeming Lawful Money! We sleep better at night knowing we will not lose our home! With MJ’s help…I have learned how to properly and lawfully escape the unjust tax system we are all burdened with. I did not feel powerless when it came to money! 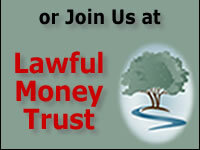 David Merrill…with his unique style of teaching allowed me the breakthrough moment of understanding Lawful Money. Michael Joseph helped me to structure my business affairs so that I am able to do business in a very private way. MJ helped me to retain my privacy [with a trust] and my neighbor has no dispute … because … I am not the owner. ..it amazed me how adeptly MJ could take a complex subject, like trust law and break it down .. so I can understand it. Tax time is no longer a time of anxiety. The understanding of Lawful Money … has dispelled the fear I once carried!